An English translation for a large mod pack for Call of Chernobyl. 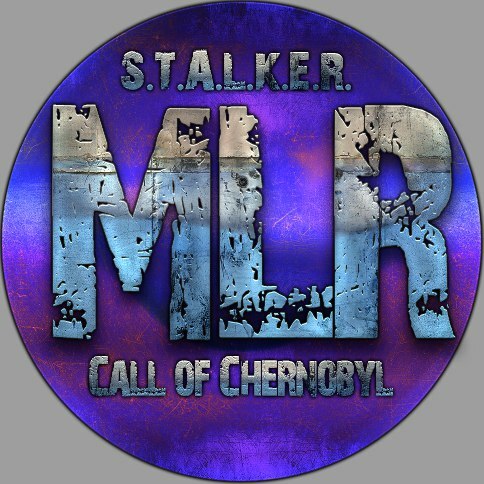 MLR is a large-scale mod created for version 1.4.22 of Call of Chernobyl by the Eastern S.T.A.L.K.E.R. community, featuring new quests, new features, an integrated version of STCoP, and new and revamped content, such as a merge and streamline of the Cordon and Darkscape maps (the latter map is no longer anywhere as large!). The English translation is based on a previous translation made for an older version of MLR in the Last Day mod pack, which some of you may be familiar with. Any feedback or help with the translation is welcome; it has a repository on GitHub with details for each file! MLR is generally incompatible with anything there are no compatibility patches for. If a file from any other addon conflicts with MLR, it is best not to apply it. The mod pack is compatible with conflicting files from any graphical add-ons, although some locations have been converted in the SDK, meaning their respective LODs have been edited. If you wish not to see any stretched ZIL trucks on the horizon, do not replace any of MLR’s files in the gamedata\levels folder with any files from other graphical add-ons. Large textual update. It is likely to be the last update to appear in a while, as the translation is, for the most part, complete, and no further progress on any other content of the mod can be made while the original author of the mod is on an indefinite hiatus. All files have been changed in a few minor ways with details below. The translation has been rewritten in British English to be consistent with Call of Chernobyl’s choice of British English. American English is still offered as an alternative in a separate folder, and other changes are listed below. Help from native speakers of British English is welcome, especially with slang and expressions! A large update with lots of help from a native English speaker! Translated (hopefully) everything into English! This is cool ****, SashaRed! Hell yeah it is. Gonna be easier to maintain than Last Day, I hope. Way more impactful too, I think. The guts of LD is a merge of CoM and MLR, all the other mods and tweaks are gravy. They did a good job with that first merge, but it's been a bit idiosyncratic since. A translation for MLR allows a lot to happen, for eg A.R.E.A. is kind of MLR 7 + CoM + CoC 1.5. Personally, I would like to do a merge of CoM and MLR 8 while preserving CoM's feel if I ever get back to STALKER. Anyways, like I said, a translation for MLR is cool. Oh my, that is actually a lovely idea. CoM and MLR 8.3 would be amazing! Oh man please do this! I wish there was as much mod support for CoM than LD. I do like LD but CoM is much better in my opinion. Interesting, it seems to include STCOP and parts of Outfit Addon? Would be nice to know more precisely what it has in due time. Excellent work as always. I can't find any official description from the authors, but I know for a fact that it's huge. It's for 7.2 version, but suitable for 8.3 (except 8.3 have old new maps, couple questlines, stcop, outfit addon and some mechanics made upgrades by artifacts). It seems to only be certain parts of Outfit Addon, curiously. No Heavy SEVA for example. I had this happen also. I ran 1.4.22 normally to set everything up, then installed MLR, then the translation. Starting it up it was in Russian, and I tried restarting again. Everything was in English at that point. I've updated the download. Hopefully it won't require any language changing any longer. Mostly just confusing at first, but nice to know it won't be going forward. Thanks. Hi,Sasha! I have a question.From where can I buy a flashlight? By the way,I spawned a flashlight(I cheated and now I feel like an idiot) and it doesn't work.I really need a flashlight because I have to find a medic bag for a wounded Loner in Cordon,in a really dark tunnel. A number of traders sell different flashlights. I noticed all variants in Barman's stock. I bought a flashlight from Barman and didn't work.I bought a better one,didn't work. Did you figure out this problem? I cannot use the flashlight either. I discovered the answer, the flashlight stop working if you install any mod that modifies the "actor.ltx" (like W.A.R.F.I.G.H.T.E.R). You just have to copy the flashlight part on the MLR "actor.ltx", and paste/replace the related spot (actor.ltx) in the new mod. Its working for me now. WARNING: If you do a Cordon start behind the military perimeter (like you're sneaking into the Zone), you have to pass through a radiation hotspot that -will- kill you over time. For some reason MLR has changed Vodka to have Psi-protection, not radiation removal. I strongly advise not selecting that spawn point for the time being unless you know how to revert the Vodka back to being useful. Another observation: the "kit" you get from Fanatic if you do the basic training might be better described as a quick-release system like in Misery. It seems to serve the same function. Also his little hunt for the stash has moved from the previous versions, but its not that far away. Hint: check the rooftops. So, the only way to remove the radiation exposure is using anti-radiation drugs? How have you installed the mod? Hey it's still in russian for me. I installed CoC 1.4.22, MLR and after that your translation any tips? also ingame language is set to "eng"
That's really strange. I'm not sure why this is happening. Noob question since I haven't played this mod yet but, this mod comes already with weapons pack or I need to install one? I answer my self, yes it has guns lol now I have the same problem as the others, all the subtitles are in russian, the mod looks amazing but even with this patch still in russian. Is the language option set to "eng" in the game, and have you restarted it afterwards? Yes it is my friend, I tried setting the game to russian and then changing it back to english again, restarting the game, re-installing the patch and nothing happened, PDA and missions still in russian. And how exactly have you installed everything? Started a new game and nothing happened, still in russian. I hope you mean 1.4.12 and 1.4.22 for Call of Chernobyl, respectively. Anyway, I don't know. yeah I missed the 4 lol, still in russian anyway. It seems fussy about the language. But its been fine for me since I did the restart. I'm getting this crash when I try to talk to Hermann. That's odd. Must be a problem with the mod itself, which is out of my ability to fix. Must be having trouble loading one of the armors into the inventory? I wonder if it's a result of not having the whole Armor Addon included in the mod. So,this issue can be fixed? That's awesome because I can't talk with traders who have scientific suits. Thank you SO MUCH.You really helped me here,friend.I can finally complete the story mode.Good luck in the Zone,friend! wow is that all thats in the crash log? i have no clue what happened there, the fix for the actor_armor_scientific thing was fairly simple and i have next to no knowledge of how this stuff works. so i dont think i can help you here sorry, im glad to know it helped with the armor crash at least. googling around i can see a few other people had similar crashes but i cant seem to find any solutions that might apply to this, but have a look around anyway. It doesn't work for me, still the same error - "Can't open section actor_armor_scientific"